Wild Crops lets you define crops which will grow randomly throughout the world as opposed to at villages. This lets you find them as if you were a hunter/gather. Useful for modpacks that may want to disable villages but still want to provide crops. Can you make Biomes O Plenty support? You should really have the default config set up to actually work and do something. Does this mod even do anything? Regular minecraft crops require farmland... which you aren't going to find in the wild unless the mod also replaces blocks before it puts the crops down. 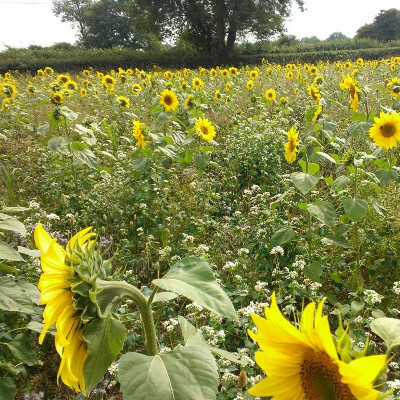 The mod Roots causes wild crop gardens; which also generate farmland for them. I was hoping to avoid all the extra content though... maybe the author of this mod could get some help from their code though? does it by default have crops in its config? It has an example in the config, but otherwise you need to make your own entry for each crop type. A few pictures in the curseforge page would be nice. Hello again, just popped in to make a request for a 1.12 version. Suggestion: Allow blacklisting of crop generation based upon biome temperature. Mod logo is amazing :D can you add images please? What else do you plan to do with this mod?